Yesterday Facebook/Facebouc - today, YouTube! 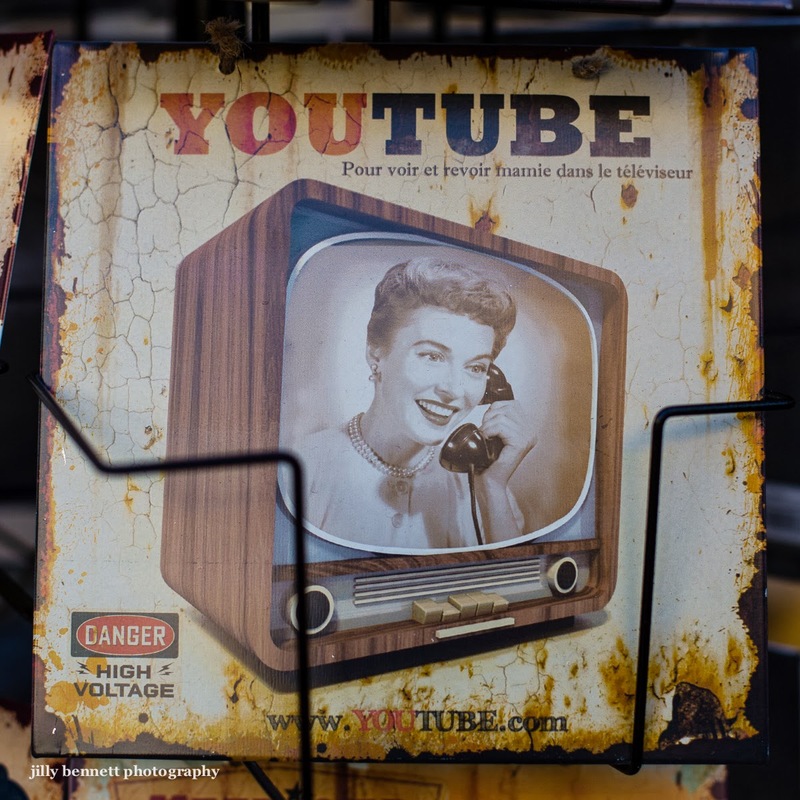 Hier Facebook / Facebouc - aujourd'hui, YouTube! These are both so witty. Clever idea. I know the photo in the center is from the 1950s but where did she get those teeth?